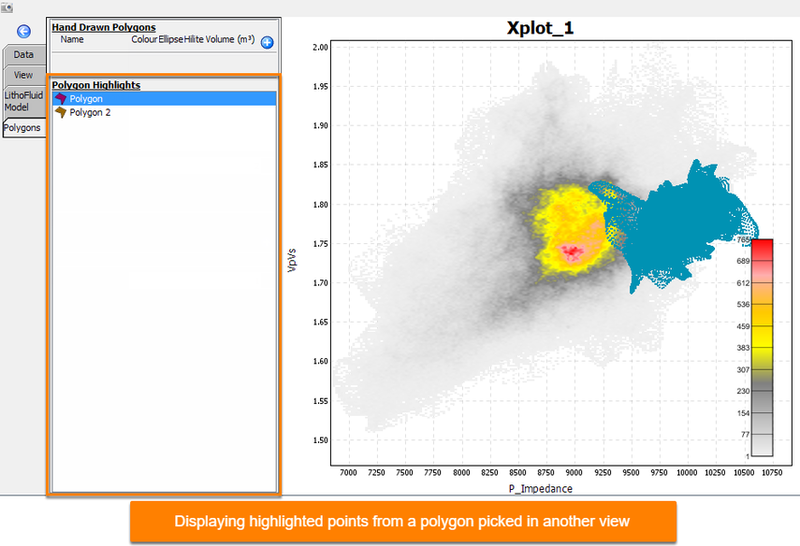 Using polygons, select areas of volumes or horizons in section views and highlight those points in the crossplot. Expand the Polygons tab. Insight map and section polygons are listed under polygon highlights. Select the polygons to highlight in the Polygon Highlights box. Click a second time to disable. Right-click and choose Deselect All to clear the selection. Hold Shift when clicking to select a series of polygons. Points are highlighted according to the polygon colour. Adjust highlight size and opacity in the View tab (see Configuring Crossplots).